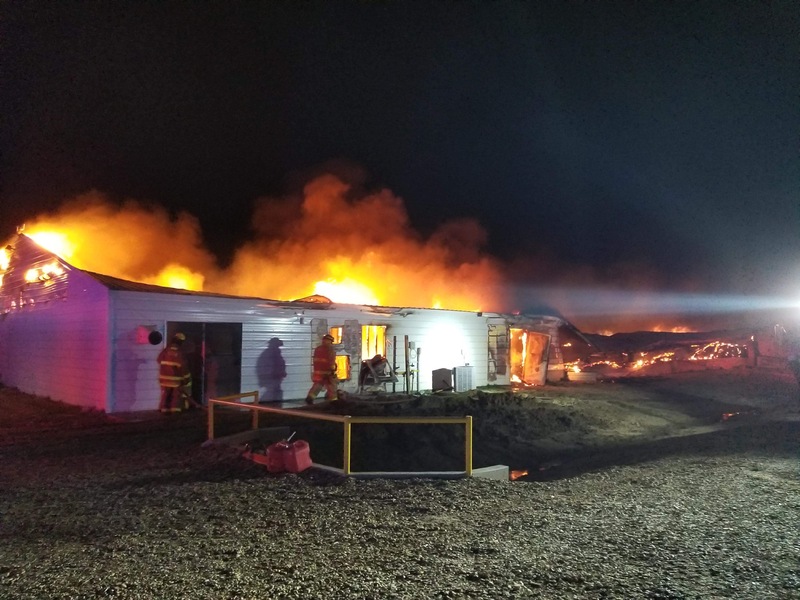 On Thursday evening March 29th, at approximately 9:54pm, Seward County Fire Rescue was dispatched to a commercial structure fire southwest of Kismet. Units arrived on scene to find a large commercial barn fully involved. 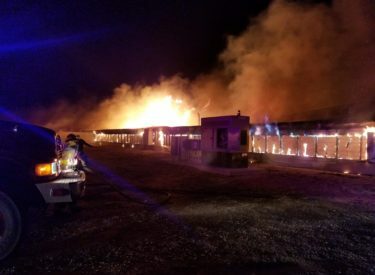 Firefighters were able to stop the fire from spreading to an adjacent barn. Fire was declared under control at 12:30am. No injuries were reported. Seward County Fire Rescue responded with 8 fire apparatus, 17 personnel, and was assisted by Plains Fire Dept, Seward County Sheriff’s Office and the Kansas State Fire Marshals Office. Fire is currently under investigation and units remain on scene throughout the night. Damage is valued to be in the hundred of thousands.